Long time YAC supported, the Right Honourable Michaëlle Jean, 27th Governor General of Canada, stopped by HUBHFX on March 20th to share her view on the role young artists play in the world. She discussed making change through the arts and about bringing National Black Canadians Summit to Halifax in 2020. A room of young artists and their supporters shared their ideas for making change with art and what a National Black Canadians Summit in Halifax should look like. 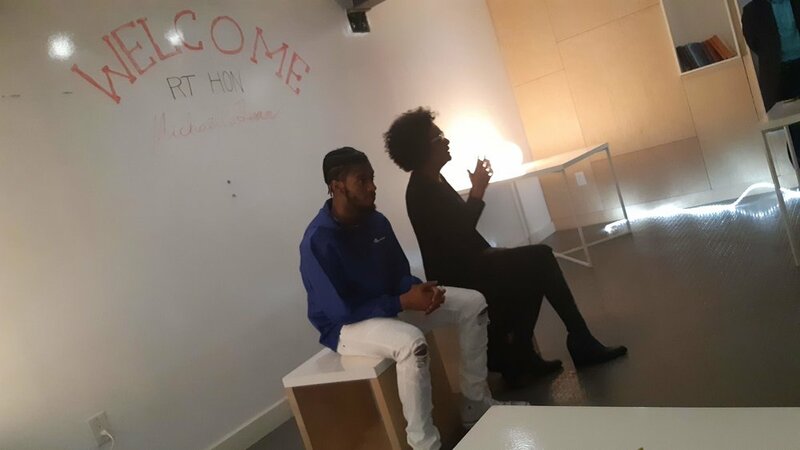 Delvina Bernard and Sylvia Paris contributed to the conversation with youth artists and brought an intergenerational perspective. As always, the conversation, networking and learning at hub links to the outside world through social media channels and connections of hub members and visitors.